Brought to you through various media and technologies, Daybreak is an interactive story about the magic of technology and its power to transform our lives and aid us in reaching our highest potential. So begins AT&T’s transmedia storytelling project Daybreak. This immersive entertainment experience runs across multiple layers of media, with online films, websites and a smartphone app. The series began on TV with ‘Touch’ a drama series starring Kiether Sutherland. The link to the transmedia experience was revealed in the final three episodes of the series through the introduction of a “mysterious dodecahedron”, which is the focus of the Daybreak experience. 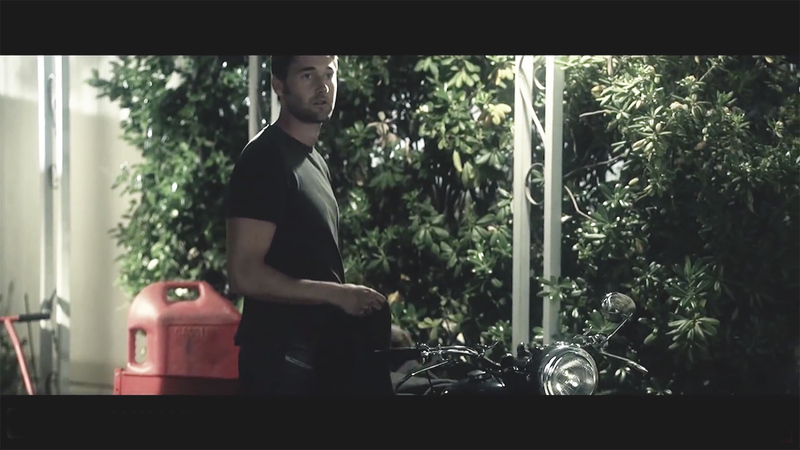 The campaign kicked off with teaser advertising during Touch, which invited viewers to follow the dodecahedron online where fans could interact with the experience and bonus content. Daybreak follows a new narrative, which unfolds around reluctant hero Ben Wilkins, who is trapped at the center of a global conspiracy. The experience sees Ben use AT&T innovation and technologies to aid his quest to return the dodecahedron to its rightful place. Ben is also helped by an undergroup group, called the Jack Boxers, this is the mechanism that enables users to get involved and interact with the storyline, characters and other fans. Daybreak plays out over two dedicated web sites, mobile apps and social media. Viewers can choose to watch the five 10-15 minute videos online as a linear series or get involved interact with content, download the apps, play games and gain access to additional content and expand the experience. 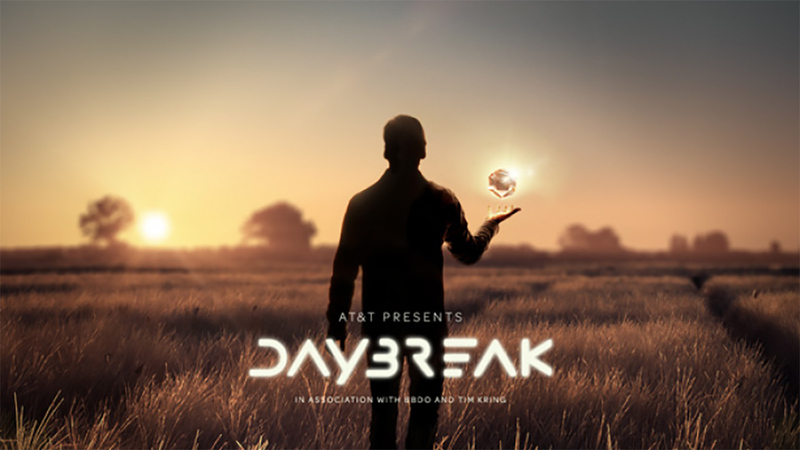 The immersive experience is the latest phase of AT&T’s Rethink Possible platform, and Daybreak aims to highlight the telecommunication giant’s 4G network and product innovations. 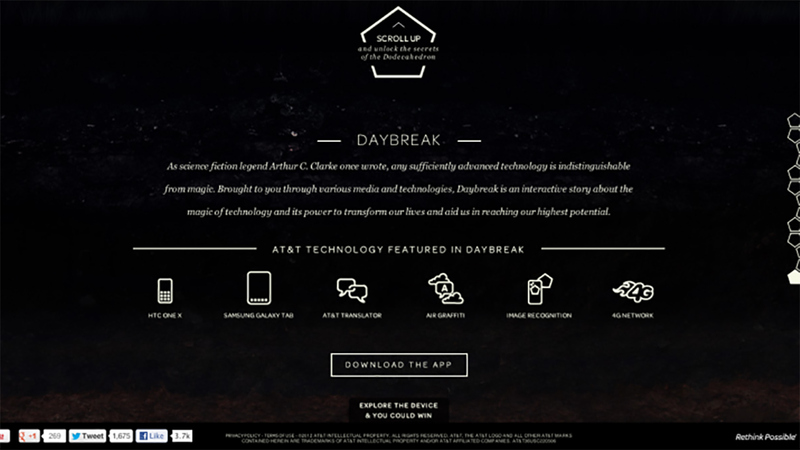 In Daybreak AT&T, has created a truly transmedia experience. The project integrates the storytelling of a webisode with the interaction of a mobile game and blurs the line between viewer and participant. By integrating multiple platforms the experience transforms over time enveloping the audience into the content creating an interactive and immersive experience which repositions viewers as participants, by making them members of the Jack Boxers organization. Through the sites, apps and social media, Viewers can use technology to solve puzzles and fight their adversaries. The link is Tim Kring, who created Touch and Daybreak (he also created Heroes) thus ensuring the dramatic integrity of the web series. Kring has done a good job of weaving the AT&T products and technologies into the program. It’s a testimony to the role that technology and our mobile phones play in our daily lives that this works so well. Ten years ago this concept would have been laughable, but it is credible and interesting. The viewers understand that AT&T are behind it, but it doesn’t take anything away from the entertainment experience, in fact it adds to it. The technologies are cool and the products are showcased in a relevant and useful way within the webisodes, the viewers are encouraged to dig deeper and then rewarded for it with extra content and entertainment and a chance to be part of something bigger. 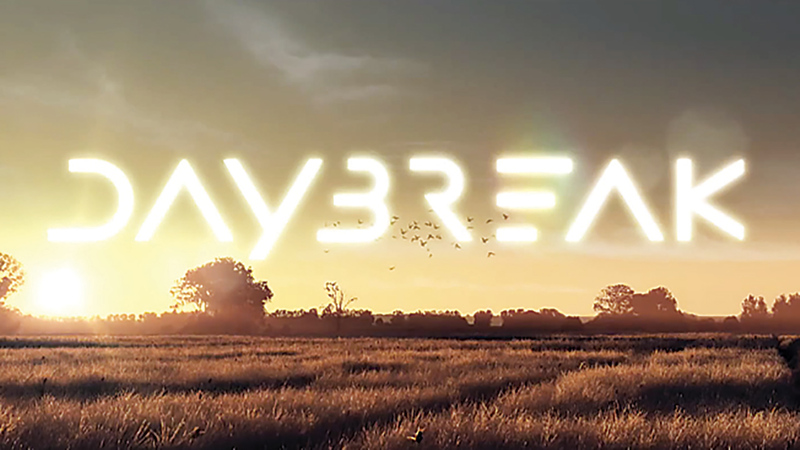 Daybreak follows hot on the heels of Inside, the social film experience created by Intel, Toshiba and Pereira & O’Dell. Both Daybreak and Inside have expertly blurred the lines between viewer and participant to create immersive experiences for audiences. It’s no surprise that this works. Consumers want more for free and this series provides them with more entertainment as well as an opportunity to be part of something. Strategically it’s strong, to say the least. Rather than working with an agency and a production company to create a vehicle to push its products and brand, AT&T have worked with a storyteller, Kring, to inspire a series where its products naturally exist. The result is authenticity and a compelling drama series packed with cliff hangers to keep consumers wanting more. Even if the series itself is not your cup of tea, this is an impressive and slick production and an exceptional campaign from AT&T.